BMO InvestorLine has been rated one of the top of discount brokerages in Canada and offers competitive pricing (if you have more than $100,000) with an excellent online trading platform and research material. The web trading platform is easy to use and navigate. A BMO InvestorLine account is automatically connected to a BMO AccountLink card so that full chequing account privileges are given to a BMO InvestorLine trading account. Two free withdrawals are included every month with an InvestorLine account. BMO provides 5 complimentary Canadian and US dollar cheques with each account. Also multiple InvestorLine accounts can be linked with one user ID. 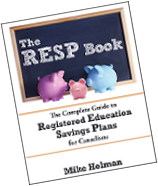 As a result, you can access your family’s non registered account, RRSP, RESP, and TSFA with a single login. Please see my Canadian Discount Brokerage Comparison for details. BMO InvestorLine offers 2000 no transaction fee mutual funds. Also BMO InvestorLine offers PH&N D series without transaction fees. PH&N funds offer a wide variety of low cost funds that can nicely compliment many portfolios. Mutual Fund Model Portfolios: BMO InvestorLine has created several mutual fund premade portfolios for investors. These mutual fund portfolios have a minimum purchase of $10,000 and there is no wrap fee on top of the mutual fund MER. ETF Model Portfolios: BMO InvestorLine has six different ETF premade portfolios using iShares on the TSX and NYSE. Each portfolio consists of 4 to 5 iShares ETFs and can be bought with one order. These ETF portfolios require a minimum purchase of $25,000 for the entire portfolio and there is no wrap fee on top of ETF MER and trading commissions. Mutual Fund Model Portfolios and ETF Model Portfolios are excellent starting places for beginner investors. However, these models exclude PH&N Funds for Mutual Fund Model Portfolios and Vanguard ETFs for ETF Model Portfolios. PH&N is owned by Royal Bank and offers no load, no trailer fee D series funds. Vanguard Group is a mutual investment company and has the lowest cost ETF family in the US. For more experienced investors, these model portfolios may be useful as a reference. Foreign Exchange can be done through the web in InvestorLine. An order of $75,000 or above will be done through BMO’s Foreign Exchange desk and offers an exchange rate of market price minus commissions, which is significantly better than most exchange rate offered through retail networks. Other bank owned discount brokerages also offer foreign exchange through their foreign exchange desk, but it has to be done through the phone. OK so what’s the author’s opinion on it? Yea or nay? BMOIL likes to charge stupid bank fees if you withdraw from your account too many times in a month. the service is alright, both email and phone. the website is not the fastest and certainly not made for quick traders. Charles in Vancouver: I tried to include information that cannot be found on BMO InvestorLine website for those who do not have an account and the analyze some of the services available. I will look into adding a conclusion. Thanks for the feedback. Steve in Montreal: I like BMO InvestorLine. nobleea: True, only two withdraws are included. Which discount brokerage is the best for quick traders? Then again, this list may not be up-to-date !!?? I guess you must be speaking from experience, have you traded them ? I also noticed the PH&N item. I do not see it on the no-fee list. If it is now offered for no-fee, that would be worthwhile info. Have you verified this info? Steph & Lisa: I can verify that PH&N D series is available without additional fees from BMO Investorline. I bought some myself. For discount brokers, PH&N D series pays a small trailing commission. I am only able to confirm that PH&N D series is available without additional cost at BMO Investorline and Scotia iTrade. I am a 5star account .Why am I paying $9.95 per trade when I can get $4.50 trades+ 10 free a month. Well, I needed access to my BMO InvestorLine account to make some trades today as the market is moving. However, I can’t log into it, and when I called them, no one picked up. After 45 minutes of this, I called the BMO telephone banking number and was told that it should be up within 90 minutes. In the world of trading, this is totally unacceptable. The BMOInvestorline website is down or really slow when you need it most. When the trading gets interesting they get overloaded and crash. But even with the downtime, the BMOIL interface and service are way better than TDWaterhouse! I’ve been an Investorline user for 12 years and an Active Trader for over a year, currently making over 100 trades a month. My frustration with Investorline is skyrocketing. If you trade penny stocks, run, don’t walk from Investorline. This platform can not accurately record half penny prices. Their third-party Streamer, is buggy and amateurish, and can not record half penny stock prices. I have written repeatedly over the past year and, not only have they done nothing about it, they always make it sound like it’s the first time they’ve heard about it. BMO Investorline does not DRIP US stocks. This is the main disadvantage of going with this company. Royal Bank’s Direct Investing does DRIP US stocks, so is the better option in my view. The staff is over worked and they just focus on customers getting more and more money to them. They would rush you like anything and for investor line, you are just a number. Discussed opening an account with them but decided otherwise.